CFI is a founding member of the Global Corporate Finance Society (GCFS), a non-profit organization that exists to serve its members and those who have earned the Financial Modeling and Valuation Analyst (FMVA) certification from the Corporate Finance Institute. 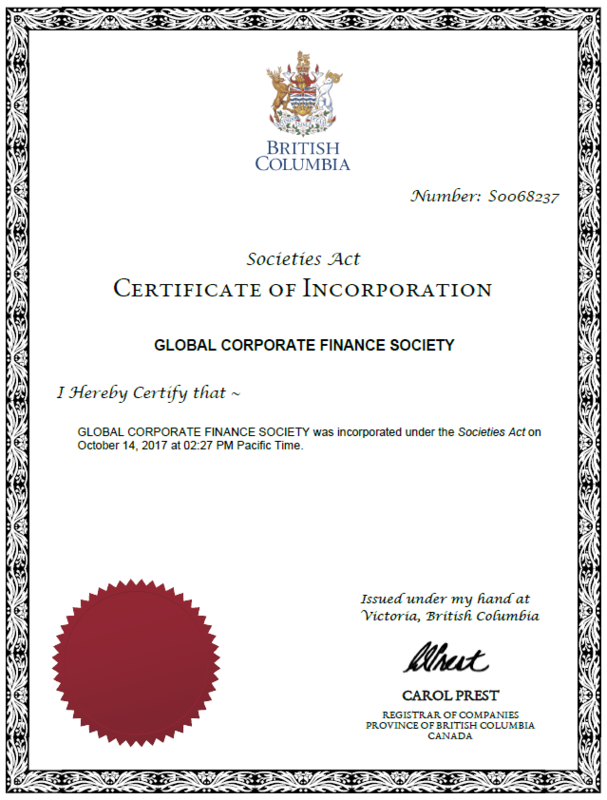 The Global Corporate Finance Society is a member-owned, registered non-profit society. To learn more, visit https://corporatefinance.org. Below is GCFS’s official certificate of incorporation.